We work with both residential and commercial clients, ensuring that the quality and results go above and beyond your expectations. Our company name has become synonymous with excellence, and this is something that we take great pride in. Now, we look forward to working with you and ensuring that you get the quality service and final outcome that you want, need and should be able to expect from a professional. We offer a variety of essential air conditioning and heating services for both residential and commercial clients. This includes installation, repair, maintenance work and even emergency AC services. Don't take a gamble when it comes to the work that goes into installing and maintaining your HVAC system. There is probably no other service quite as important as the tune-up job. Yet, unfortunately, this is one task that tends to get overlooked on a consistent basis. Make it a point to get proactive about your preventative maintenance and you will reap all the benefits. What are the advantages of getting a professional tune-up for your AC system? For one thing, this keeps your warranty valid, enhances performance and maximizes longevity. It helps cut down on the need for costly, surprise air conditioner repairs. It also helps ensure the safety of your system and the well-being of your loved ones. With so many benefits, why bypass getting this important service for your air conditioning system? The last thing that you want is to end up getting shoddy workmanship when it comes to air conditioning installation in Naples, FL. This literally sets the foundation for the performance of your cooling system, the entire time that you have it. If you end up with poor quality installation work, you can expect poor performance from your cooling system. The end result is an air conditioner that needs constant repair work, runs up high utility bills and needs replacement, long before it should be time. The worst part is, you are not likely to realize what the cause of the problem was. So you end up paying an air conditioning company for inferior work, only to be left with years worth of costly problems. 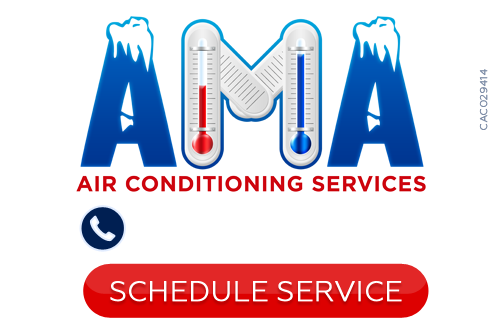 At AMA Air Conditioning Services, our main priority is to provide you with year round comfort. This is why we offer the finest in both cooling and heating service work. We are dedicated to keeping you and your family comfortable and safe, as well as satisfied with your services. There is no reason to settle for less than the best when it comes to the quality you receive from your heating and air conditioning service provider. The bottom line is that your comfort and satisfaction is as important to us, as it should be to you – if not more so. Get in touch with us today and let's get started tackling whatever project it is you have, standing in the way of your household having year round well-being. Quality should always matter when it comes to the service you receive from your heating and air conditioner company. AMA Air Conditioning Services is dedicated to doing whatever it takes to make sure that your indoor comfort service needs are executed in a prompt and professional manner. This includes offering emergency AC services in Naples. If you know that you are in need of service for your heating or air conditioning system, the time to act is now. Stop putting unnecessary strain on your heating or cooling, when we can quickly rectify the situation. This is the ideal way to keep your home comfortable and safe, all year round. If you are looking for a Naples air conditioning company then please call 239-455-5010 or complete our online request form.